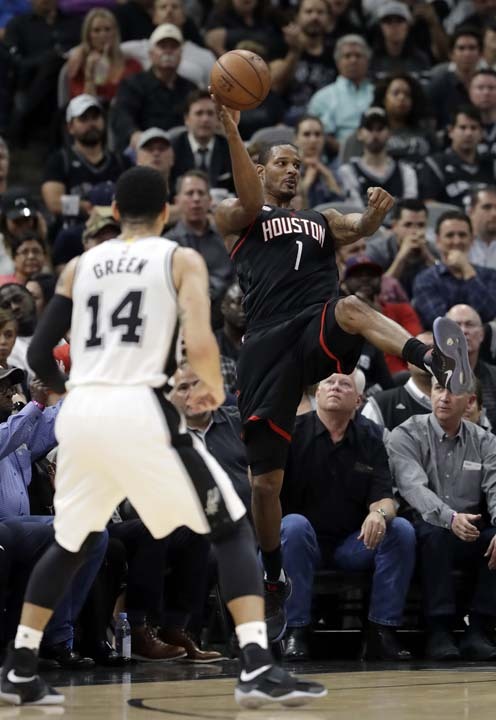 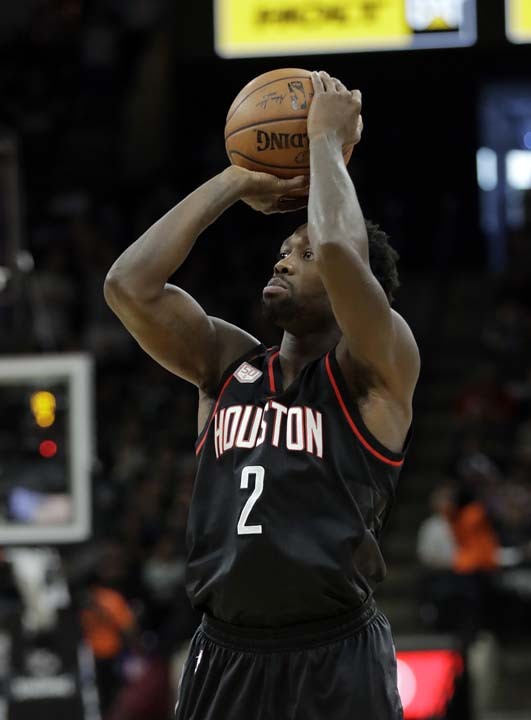 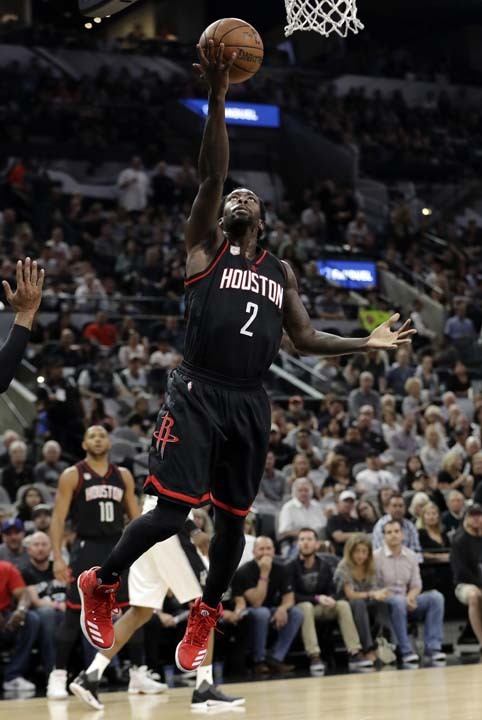 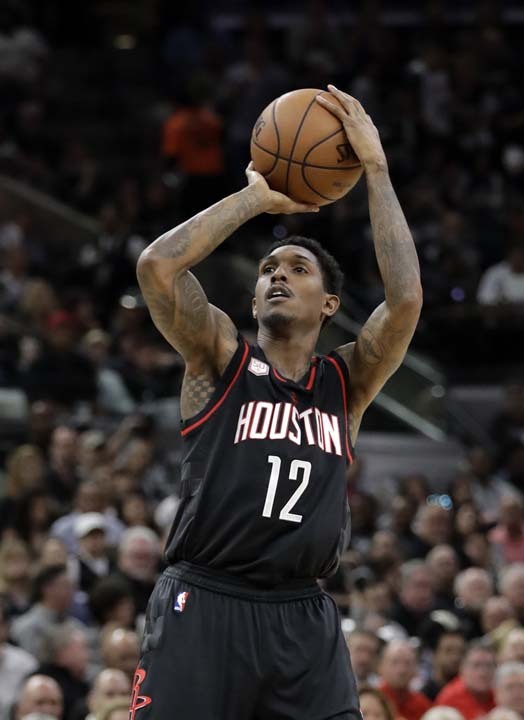 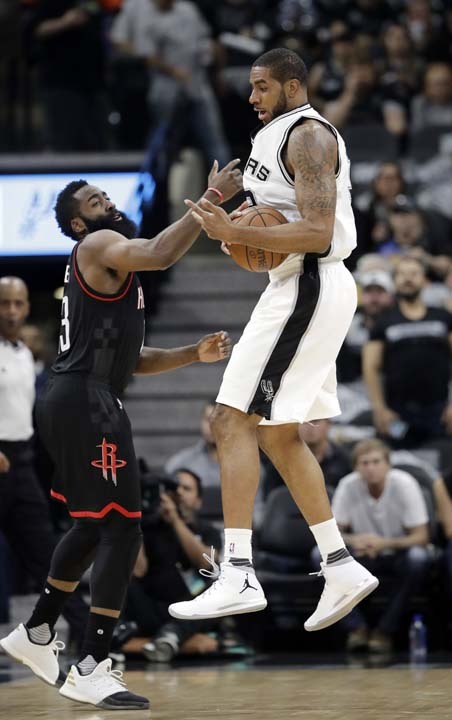 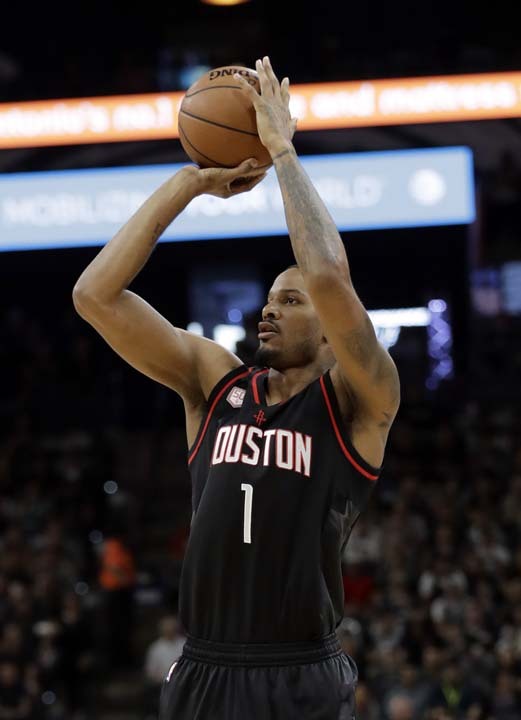 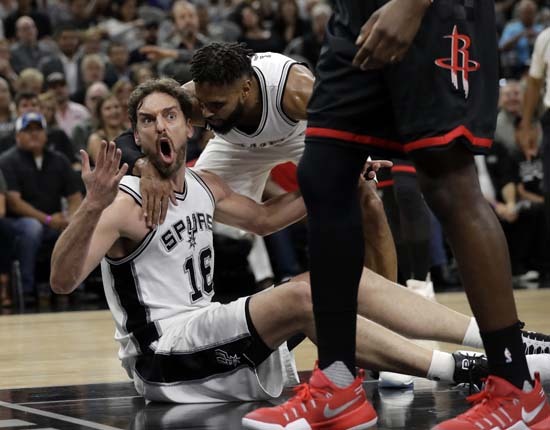 SAN ANTONIO, Texas (KTRK) -- Danny Green scored seven of his 16 points in overtime, and the San Antonio Spurs overcame an injury to Kawhi Leonard to beat James Harden and the Houston Rockets 110-107 in overtime on Tuesday night to take a 3-2 lead in their second-playoff series. 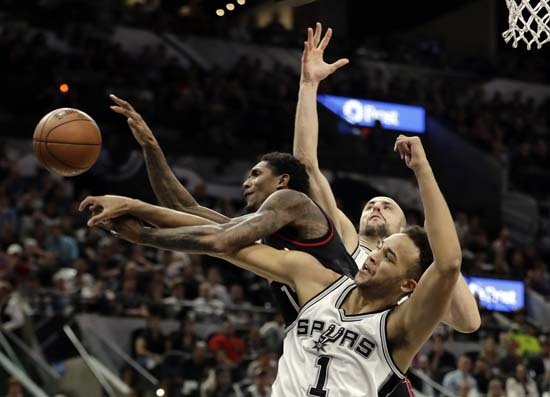 Leonard had 22 points and 15 rebounds in 38 minutes before exiting with an injured right ankle. 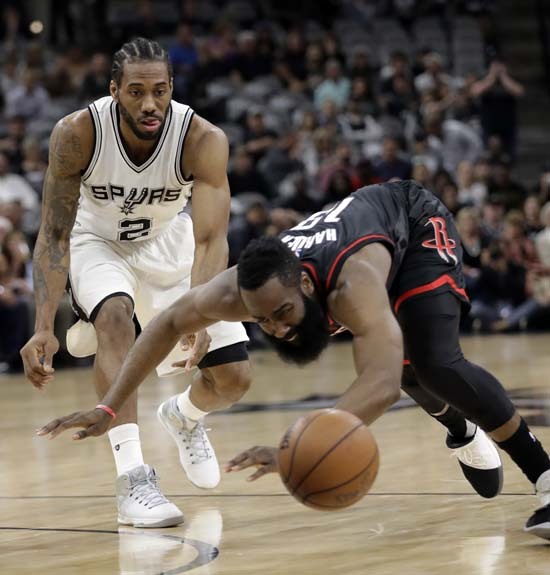 Leonard stepped on Harden's foot with 5:37 left in the third quarter and then played limited minutes before sitting out overtime. 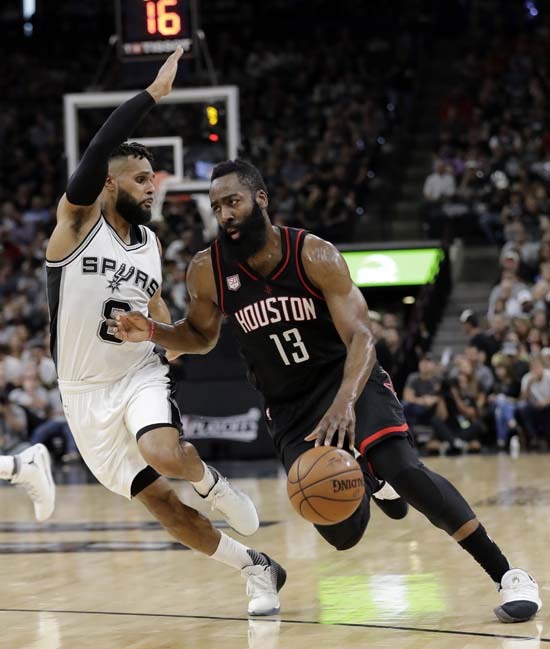 Harden had 33 points, 10 rebounds and 10 assists. 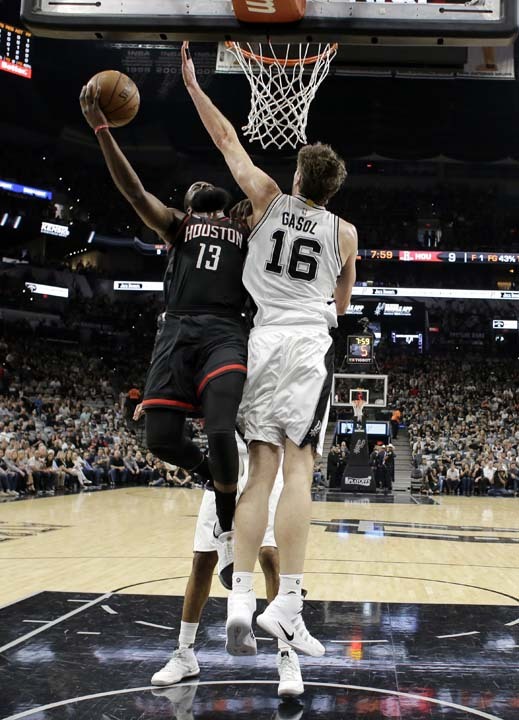 He had a chance at potential tying 3-pointer in the final seconds of overtime, but was blocked from behind by Manu Ginobili.